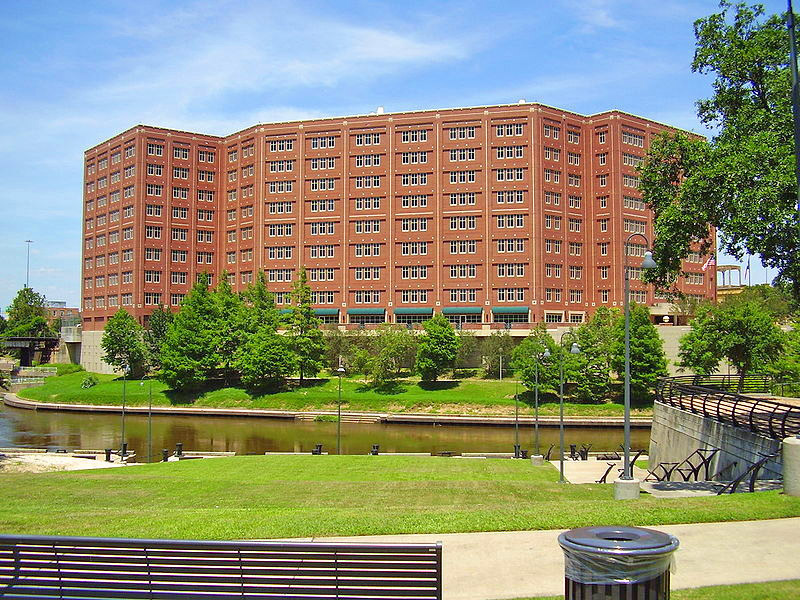 HOUSTON (CN) – The biggest jail in Texas will be less crowded starting Monday, as a federal judge refused to stay her order for Harris County to release people charged with misdemeanors who cannot afford cash bail. More than 100 people charged with misdemeanors are detained in Harris County Jail in downtown Houston every day because they are too poor to pay bail or a bail bondsman, court records show. Though this group makes up a small percentage of the jail’s average daily population of 9,000 inmates, delaying their release on a minor charge for a petty crime like shoplifting can cost them their jobs, custody of their children, and prompt them to plead guilty to crimes they did not commit so they can get out. U.S. District Judge Lee Rosenthal ordered that on May 15 Harris County must start releasing misdemeanor defendants within 24 hours of their arrest on unsecured bonds, no cash up front, after they sign affidavits stating they cannot afford cash bail. The county, its 16 criminal court judges and five hearing officers who set bail at probable cause hearings are defendants in the class action. They filed an emergency motion on May 9 asking Rosenthal to stay her order. Harris County argued that Rosenthal’s order will be difficult and expensive for its pretrial services department to implement because it will have to keep tabs on the increased number of defendants released on unsecured bonds. “This supervision will come at a high and unrecoverable cost. These costs, which will cover everything from GPS monitoring devices to hiring additional pretrial services officers and caseworkers, could run to the tens of millions of dollars,” the motion states. But Rosenthal rejected the argument on Thursday and denied the stay. “Undisputed evidence shows that even the more restrictive forms of pretrial supervision required inappropriate cases are far less costly than incarceration,” Rosenthal wrote. Rosenthal, a President George H.W. Bush appointee, is chief judge of the Southern District of Texas. She is highly respected by Houston’s legal community. Throughout the litigation, county officials have argued that many of the lawsuit’s claims are moot because they are implementing reforms that will make Harris County the “gold standard” for bail administration in a nation increasingly aware of the harmful effects of incarceration. On July 1 the county will launch a risk-assessment tool, a computer program that will rate a defendant’s risk of committing more crimes or not showing up for court while out on bail, and make bond recommendations within 30 minutes of an arrest. Also that day the county will start a pilot program where public defenders advise defendants at probable cause hearings. But those changes, some of which have been in the works for years, mean nothing to someone sitting in the jail today only because they cannot afford bail, and they should be released, Rosenthal ordered. Lead plaintiff Maranda ODonnell, 23, sued Harris County in May 2016 after she was arrested on a misdemeanor charge of driving with an invalid license, and a magistrate judge set her bail at $2,500. She could not immediately pay the bail and says her detention prevented her from working a new restaurant job she needed to care for her young daughter. She said Harris County’s “wealth-based detention system” violates due process and equal protection rights of the Fifth and 14th Amendments, and Rosenthal agreed. The county is appealing Rosenthal’s preliminary injunction order to the Fifth Circuit in New Orleans.